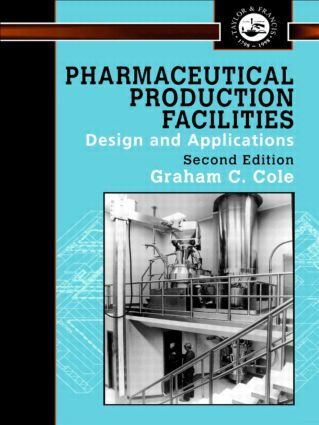 Pharmaceutical Production Facilities: Design and Applications considers the concepts and constraints that have to be considered in the design of small, medium and large scale production plants. The layout, along with the flow of materials and personnel through facilities are considered with reference to ensuring compliance with current good manufacturing practice. The book explains how clean rooms have developed, and how recent regulations affect their design. The latest concepts for reducing contamination levels from the operator and the product are discussed. It assess current changes in standards and quality control and makes suggestions for the "ideal production environment" to enable standards to be validated to current standards. Project Design and Management. Site Selection. Process Flow. Pharmaceutical Process Utility Systems. Considerations in the Design of a Pharmaceutical Facility. Cleanrooms. Tablet Production Systems. Tablet Coating Systems. Capsule Filling Systems. The Design of a Sterile and Aseptic Manufacturing Facility. Special Production Systems and Automation. Packaging Systems. Validation. Clean Design.